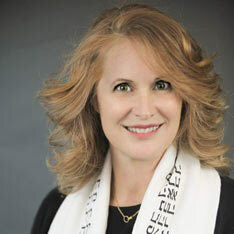 Rabbi Allison Lawton is a graduate of the Academy for Jewish Religion, California. Rabbi Lawton completed her undergraduate and graduate work at Pepperdine University. Rabbi Lawton is the founder and rabbi for Mobile Mishkan a visionary mobile congregation serving the spiritual needs of unaffiliated and disenfranchised Jews throughout the Los Angeles area. Combining social justice with creating sacred space, Rabbi Lawton and Mobile Mishkan offer a truly unique opportunity for Jews in Los Angeles to maintain a deep connection to tradition and foster a strong commitment to community. A former teacher and school administrator, Rabbi Lawton consistently brings social justice work to all her roles; that of Rabbi, educator and mother. She is a social activist whose work has included LGBTQ rights in California, those affected by the devastation of Hurricane Katrina and working with incarcerated women in California Chino State Prison in the area of self-esteem building. Currently living in Southern California, Rabbi Lawton is currently working on the creation of the Milken School Israel Center whose mission is arming high school students with informed and sensitive information about Israel in order to be able to discuss Israel in meaningful ways with those whose opinions vary from their own.